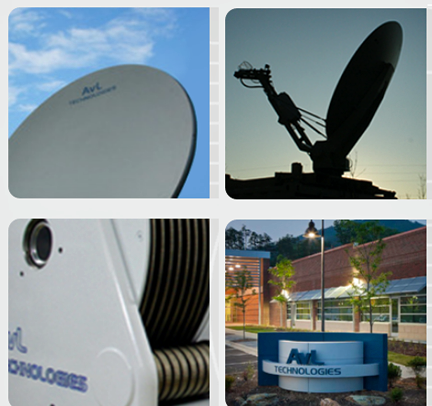 AvL Technologies has announced a new product family and two additional new antennas. The company also has released a new web-based version of its AAQ Auto-Acquire Antenna Control System as well as a new computer-assisted pointing tool called SatCAP. These new products will be on display in AvL’s booth at Satellite 2017. AvL’s new line of fully integrated terminals is now available with reflectors sized at .75 meter, .98 meter and 1.35 meter and will soon be available with a .45 meter reflector. Each of these ultra-lightweight antennas features an axi-symmetrical carbon fiber reflector, an all-in-one positioner system with integrated stabilizer legs, quick change snap-in-place tri-band feeds and RF kits, and ODU/modem and BUC/LNB integration. The antennas offer compact two-case pack-ups, which meet IATA requirements for carry-on or checked baggage depending on antenna size. These antennas are easily assembled by one person in minutes. AvL Technologies will also showcase the new 1.2 meter MEO tracking Ka-band antenna for the O3b network at the show. AvL’s O3b antennas are transportable, rapidly-deployable, tactical terminals with geared drives for continuous operation. The antennas operate in tandem pairs (same size) with make-before-break communications and are easily transportable in durable transit cases and can be set-up and on-the-air within two hours. Also featured at the AvL booth will be their Model 824i 85 centimeter Integrated Auto-Acquire FlyAway Terminal, which is a tri-band capable antenna in a fully-integrated, lightweight solution that packs into two cases. The antenna’s outdoor-rated electronics unit (ODU) is loaded with features including multiple modem choices, DC power distribution for BUC sizes to 60 watts as well as optional features including onboard WiFi, fiber connectivity and AC/DC prime power. AvL’s AAQ Auto-Acquire Antenna Control System now has a web-based graphic user interface (GUI). This new GUI is browser-based and does not require software, and it offers a simplified user experience with smart buttons. The GUI provides a wizard-like set-up for target profiles, which makes changing target satellites very user friendly. AvL’s AAQ also has a new computer-assisted pointing tool called SatCAP. This is AvL’s first CAP tool, and it was developed with an Android-based environmental / waterproof device. SatCAP interfaces directly to modems and enables users to select and point to targets on command.